Our flight back to Manila is at 4:50 PM which meant we need to be at the airport by 4PM at the latest. From Paras to Benoni Port, it would take 30mins, then a one hour ferry to Balingoan Port. 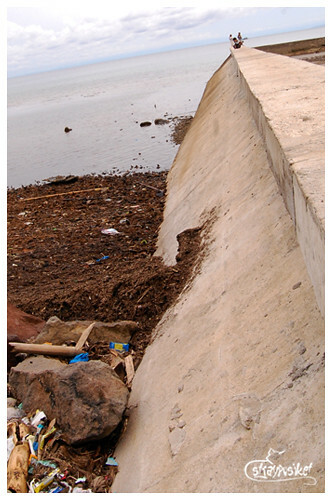 Then from Balingoan Port, it would take another 2 hours to reach Lumbia Airport. My friend suggested that we leave the resort by 10am so we have enough time to buy pasalubongs and to eat lunch before heading to the airport. Being the in-born “mabagals” that we are, we left an hour late. But we’re still relaxed because the driver told us that ferries leave every 30mins. 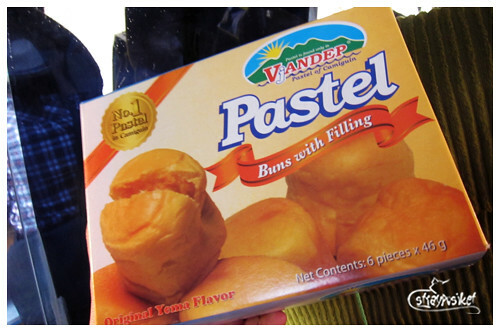 So we passed by Pasalubong sa Camiguin and Vjandep Bakery to do our last minute shopping. The RORO had just left. The next trip will be at 1:20PM. So we did the math. Even if the RORO leaves on time, minus all the ‘aberya’ we’ll reach the airport by 4:20 PM. OMG! We're going to miss our flight! We panicked at the thought of rebooking our flight. 5,000 pesos? Deds! That would be the same amount we spent for the whole trip. *Isip isip. 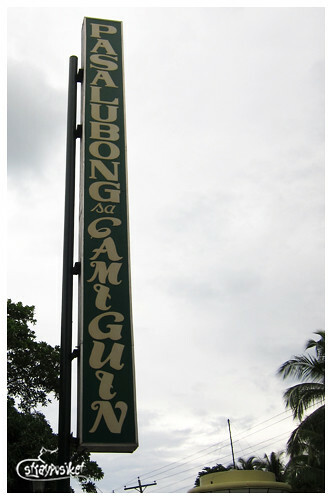 Hinga ng malalim. 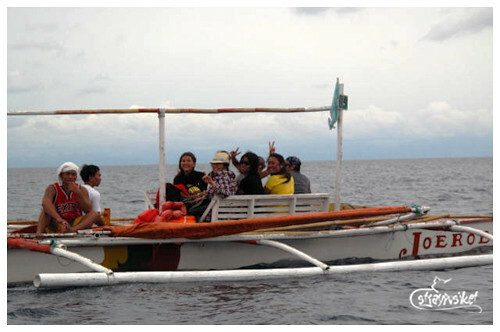 * We were willing to pay 500 pesos just so they can operate the fast ferry. My friends negotiated with the staff at the terminal but to no avail. *Isip isip. Hinga ng malalim. *After a few minutes, they were back with good news! Thank God. They were able to rent 2 motor boats to take us to Balingoan Port and we only got to pay 230 each. But here’s the catch. We’re not boarding at the port. We were told we have to wait for the boats about 500m away. A multicab driver approached us and offered to take us there. 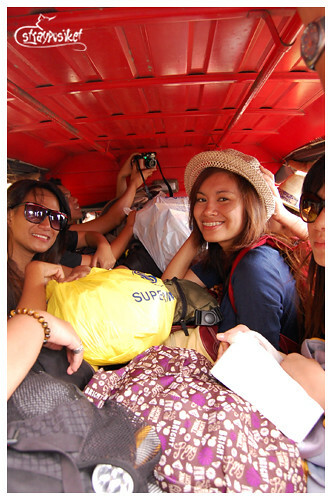 We fit ourselves into a multicab that I believe can only accommodate 9 persons comfortably and we are 13 in the group. Hahaha! Only 1 can sit beside the driver. The manong said “Kasya dose diyan!” Dose? Hello? Ang laki ng pwet namin at ang daming gamit. Hahaha. So 1 sat in front, 9 we’re able to sit inside + the baggages, then 3 sabit. 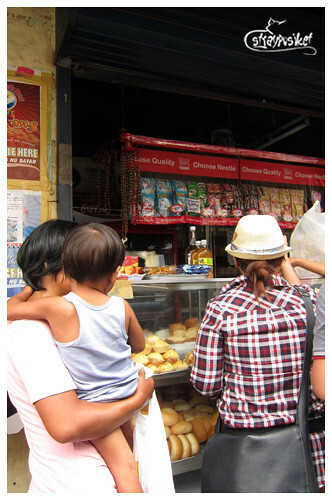 We we’re charged 5 pesos each. We were dropped near the pile of garbage and were instructed to wait for the boats here. After less than 10 minutes, the motor boats have arrived. Motor Boats – Imagine the ones they use for island hopping. Yes, their small. They can only carry 10 passengers including the boatman and his assistant. Yikes. But they have life vests. Yikes still. But we have no choice. We know it’s damn dangerous but hey sayang ang 5,000 noh. So bahala na. Kapag oras mo na, oras mo na. Tama? Tamuhhh! We’re standing on the dike which I think is 1.5m high. So how do we board the boat then? My friends went down the dike one at a time. 4 of us got chickened out so we decided to take the other way - walk through the garbage. Germs! Germs! Gerrrrrms! After a 2-hr panicky ride, we managed to get to the airport on time. God is good – all the time! 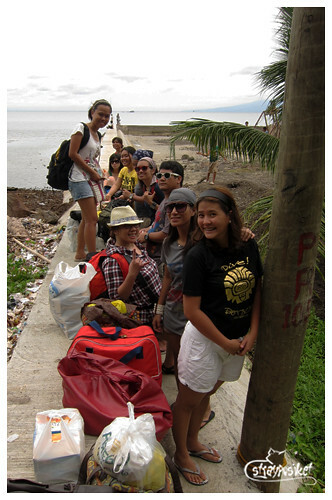 agree with the effort and hassle of going back to the airport from camiguin..
what an adventure! good thing you didn't miss your flight! funny story! Cheers!